In the poorest country in the Western hemisphere, Haiti Christian Schools are meeting the significant need for education in the area. In the aftermath of the 2010 earthquake, three Christian schools on the island of La Gonâve banded together to ensure a brighter future for children in the area. The schools aim to increase the children’s literacy, maths and problem-solving skills and help to build a future of healthy and productive residents. Pray for the schools as they work to provide quality education, spiritual development and vocational training for both children and teachers. Hurricane Matthew is the worst hurricane to hit Haiti since 1954 and has caused catastrophic damage including widespread flooding, debris and landslides. Cases of cholera have already been reported, along with enormous water infrastructure damage. 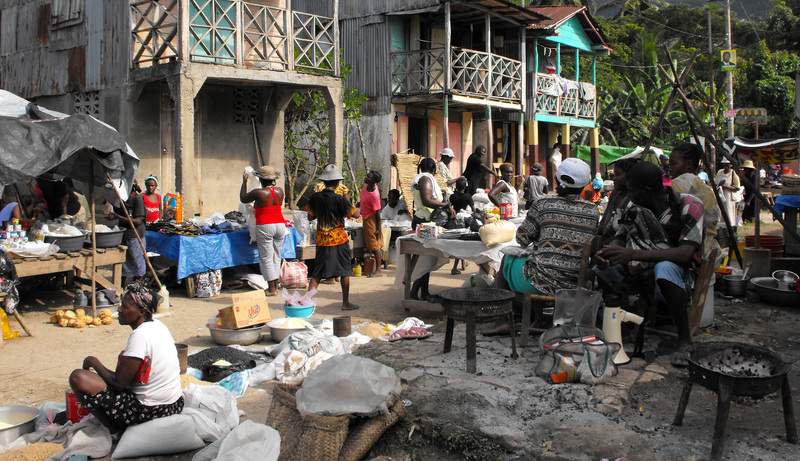 Haiti remains highly vulnerable after the 2010 earthquake and is one of the poorest nations in the world. Tragically, at least 1000 lives have been lost and, according to the latest government figures 1.4 million people are in need of humanitarian aid. At least 61,537 have been evacuated or displaced and are housed in temporary shelters. Please pray for those suffering and the work of relief agencies in the area. Christian station Radio Lumière recently celebrated its 56th anniversary with a number of special events, where many listeners spoke and gave testimony to their love and attachment to the station. One listener wrote: "I am a young Haitian girl. I currently live in Brazil where life is very difficult for us. A number of my girlfriends have fallen into prostitution in order to live. I thank the name of my God who gave me a special gift in Radio Lumière. It is my companion… and helps me stay faithful to biblical principles in spite of the difficult circumstances.” Pray for continuing fruit from this powerful gospel voice. “We’re not poor anymore,” said the Haitian man. The missionary engineer was confused. The clean water project in his remote community was still under way. How could this man, living in Haiti, the most impoverished country in the Western Hemisphere, think he was no longer poor? “Because now we have the power to build a water system ourselves,” responded the man. The project working alongside the community of La Bruyère in northern Haiti showed that poverty is much more than a lack of physical resources. It is also about people lacking the power to make their own decisions and control their lives. Pray for communities continuing to rebuild their lives after the 2010 earthquake. Nan Figue was a poor community even before Hurricane Sandy devastated the village in 2012. The storm destroyed much in its path, including the local church building – a crucial source of hope and practical support for many local people. Responding to this disaster, Tearfund partner World Concern provided the community with the financial and technical support it needed to rebuild the church themselves. Now the church is fully equipped to re-start its life-changing work in the community. Plus the new church building is better and stronger than before - built to withstand future storms. Four years on from the 2010 earthquake, please continue pray for the people of Haiti - praise God for the progress that’s been made and ask for protection from future disasters. Having survived the earthquake, cholera and hurricanes, now Haitians are starving to death. At the end of 2012, an estimated 400,000 Haitians were still in deteriorating tents or temporary housing, with no prospect of improvement and minimal chance to feed themselves and their families. Repeated natural disasters have destroyed crops and swept away workplaces. People who were trying to better themselves have lost hope. Statistics indicate that 50% of Haitian children die before the age of 15 and the same number never have the chance to attend school. Please pray for a renewed effort from the international community to offer help. For people in Haiti, radio is a lifeline. The Christian radio stations in the country present the gospel message, but they also provide programming about essential healthcare and family life. Funds are currently being raised to send 1,000 radios to Haiti. These durable radios are solar powered, and pre-tuned to the signal of the local Christian radio station. Pray that lives will be changed as these radios bring the light of Christ to communities.